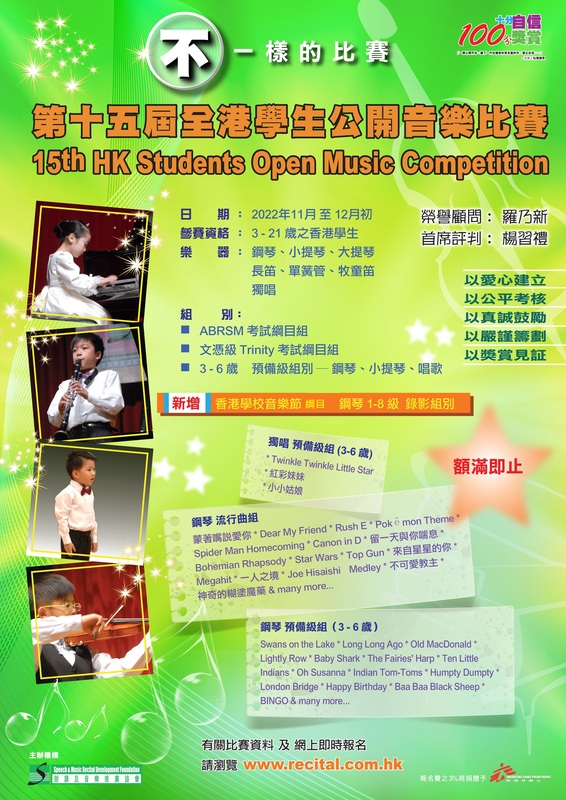 SPEECH & MUSIC RECITAL DEVELOPMENT FOUNDATION is a non-profit making organization founded by the late Mrs Elsie Tu, GBM for holding speech and music competitions for students in Hong Kong. 3% Entry Fee is donated to ‘Médecins Sans Frontières’ for charity purpose. Please click here to view in high resolution.